The Mohawk Valley got its first taste of authentic Greek cuisine in 1973 when the doors to Symeon’s Greek Restaurant were opened. Symeon Tsoupelis and his wife, Ann, were the very first to establish a restaurant on Oneida Street in the city of Utica, near the Parkway intersection. The building could only seat around twenty guests! While Symeon operated the restaurant, Ann was busy at home crafting all the desserts and being a full-time mother to two young children. After three prosperous years in Utica, Symeon’s relocated to Genesee Street in New Hartford. Here, the dining area could accommodate twice as many diners! For over six years, the restaurant was wildly successful. The owners knew the time had come for yet an even bigger building and a more prime location. In 1982, Symeon and Ann purchased their current Commercial Drive property in Yorkville—formerly Riley’s Place and Goetz’s Diner. With much hard work dedicated to treating guests as family and consistently serving delicious Greek cuisine, Symeon’s continued to grow far beyond what the owners had ever imagined. After only a few years at the new location, the first addition—another large dining room—was added to nearly double the seating capacity. Three years later, the second addition expanded the dining area even more and grew the size of the kitchen. With persistence and the help of their wonderful team—many of whom are employed at Symeon’s today—they continued to flourish. The last addition was added in 1991—a dining room in the front and a lobby where guests could comfortably wait for their tables. All throughout the years, the restaurant was a nonstop hit! With all the good fortune Symeon’s has had, they have experienced some sadness as well. In September of 2001, Ann passed away. The following winter, they suffered from a fire in February that closed the restaurant for four months. But this didn’t stop Symeon’s! In that same year, they reopened in the summer, and thanks to loyal customers and the amazing staff, they continue to be a local favorite restaurant to this day. A cornerstone of Symeon’s Greek Restaurant is the love for family. In 2001, Symeon sold the business to his youngest son, Symeon Jr. and his wife, Shelli, who now continue to carry the success of the business. There’s no question that Symeon Jr. and Shelli had some big shoes to fill when he took over the business, but looking back, he definitely sees the rewards. With his wife working side-by-side with him along with his daughter, Sophia, the legacy his parents created is being carefully preserved by him, and now, his own family. Even his son, Symeon III, is coming of age and will soon become a part of the business! 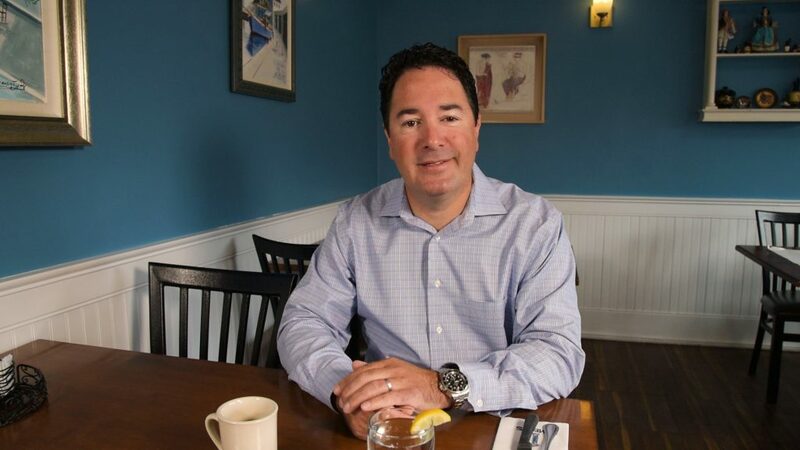 As well as furthering the success of the Greek restaurant, Symeon Jr. has also dedicated himself to honoring the memories of his mother and sister through involvement in organizations that support cancer research, awareness, and education. We invite all our devoted customers, as well as those who are new to Greek food, to join us for an adventure in Greek cuisine. If you’re unfamiliar with Greek food and don’t know whether to order the Souvlaki or the Thracian Chicken, we’ll be glad to help you! We look forward to serving you!